Do you suspect you may have gluten intolerance, gluten sensitivity or even coeliac disease? I am pleased to announce a new addition to my Functional Health Tests, a range of Gluten Sensitivity Testing, from Cyrex Laboratory in the US. I am one of the few practitioners in the region to be able to offer these ground-breaking tests, which are highly accurate for gluten sensitivity and reactivity. Should you be testing for gluten intolerance or sensitivity? Many people feel better when they don’t eat bread or pasta. Some may have mild symptoms of wind and some bloating… others may have chronic symptoms such as diarrhoea, constipation, malnutrition, skin complaints and respiratory problems. Others may react to gluten without even knowing it, yet there are a wide range of conditions that have been associated with gluten sensitivity, including skin disorders such as psoriasis and some behavioural problems such as ADHD. Autoimmune diseases are on the rise, and coeliac disease is just one of these conditions, with an estimated 1% of the population suffering with the condition (but over three quarters not realising they have it) (1). 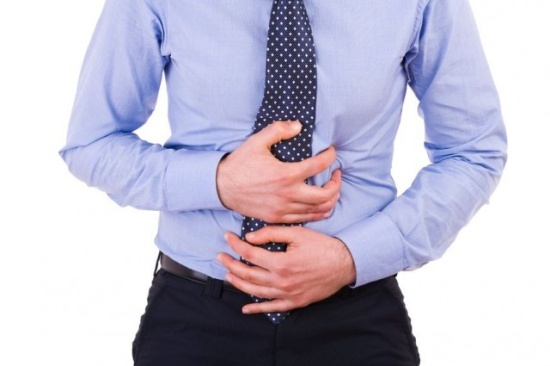 Gluten is at the root of this illness, with the body attacking itself and causing damage to the intestinal lining and microvilli within the gut, poor nutrient absorption and often chronic diarrhoea and malnutrition. Gluten sensitivity is distinct from coeliac disease, however it may still cause an inflammatory response within the digestive tract and in other parts of the body too (2), with associated uncomfortable and chronic symptoms. Why are these gluten sensitivity tests different? There are a number of problems with the standard testing for coeliac disease and gluten sensitivity. Firstly, the gluten molecules found in gluten grains, such as wheat, oats and rye, are often poorly digested by those with coeliac disease or gluten intolerance. So these proteins remain as large peptides, which can trigger an immune response. However, standard testing for coeliac disease only analyses one peptide of gluten – gliadin, despite there being many gluten peptides which can cause a reaction. Standard blood antibody testing also relies on significant damage to the gut wall for gluten mediated immune responses to be detected – yet in many cases, such damage may not yet have occurred. What this means is that many people who have tested negative for coeliac disease, may actually have the condition, but it has not been detected due to the limited nature of testing available. A new standard of gluten intolerance testing Cyrex Laboratories in the USA have recently brought their ground-breaking autoimmune and gluten sensitivity testing to the UK, via Regenerus Laboratories. I am able to offer and support interpretation of these tests. The blood tests include Wheat and Gluten Proteome Reactivity Screen, which is for those not yet on a gluten-free diet. It provides a highly sensitive test that looks at a wide range of gluten grains and peptides that may be having a negative effect, not only the gliadin peptide. There is also the option to take a gluten-associated cross-reactive foods and sensitivity screen, for those people who may not be improving on a gluten free diet, to determine reactions to 13 other foods which are commonly cross-reactive with gluten, as well as testing sensitivity to 11 other foods commonly eaten on a gluten free diet. In my opinion, this new standard of testing allows those who have previously been tested negative for coeliac disease to be retested to rule out sensitivity to other gluten peptides, and determine whether a person may have undiagnosed coeliac disease or gluten sensitivity. 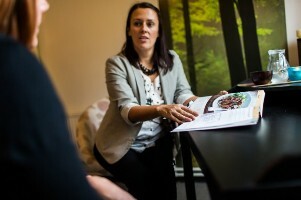 It also offers many people the chance to properly assess their gluten sensitivity, who may not be eligible for standard coeliac testing – especially for those with symptoms that may not be related to coeliac disease, but which may be equally as difficult to bear, such as chronic bloating, digestive discomfort and poor absorption. Prices for these tests begin from £208 for the Gluten-Associated Cross-Reactive Foods, and £297 for the Wheat and Gluten Proteome Reactivity Screen. Consultation fees are additional to the testing (£70), and it is vital to have a consultation following the test to ensure correct interpretation of the results and appropriate management and recommendations. For more information, or to book an appointment with me, please contact Reception at the Orange Grove Clinic on 01603 631 900, email me on info@catherinejeans.com or go to my contact page. Steele et. Al. (2011) Diagnosis and management of coeliac disease in children. Postgrad Med J. 2011 Jan;87(1023):19-25. Epub 2010 Dec 3. 3 Top Tips for Looking Younger and Living Longer!